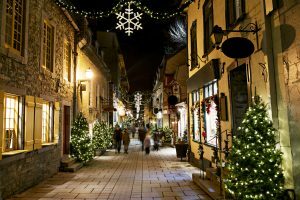 It’s Christmas in France and ‘le saison de bonhomie a tout le monde’ is celebrated in true festive tradition to ensure a Joyeux Noel in France (Happy Christmas). 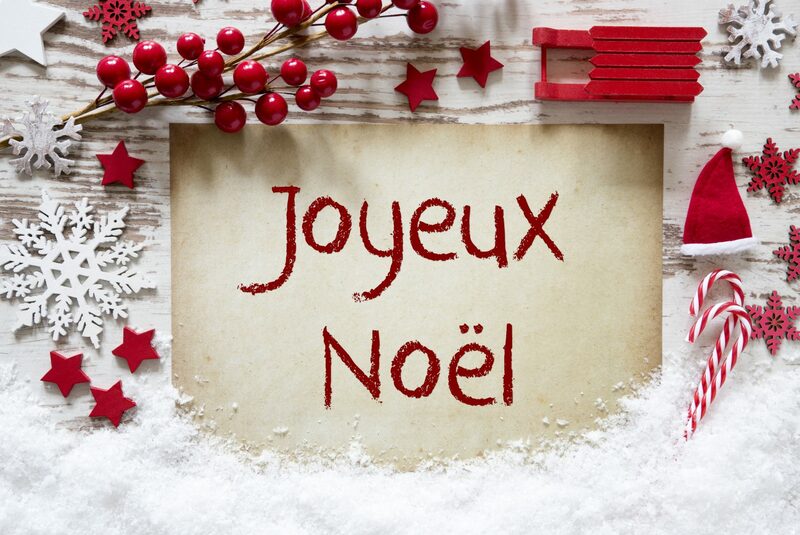 Although, of course, ‘Noël’ has its own French flavour and customs. Actually the day itself is quite a low-key affair – the French save their merriment and excesses for the dinner normally called ‘Le Réveillon’ on New Year’s Eve – about which, more next week. The season starts early however. Lights and decorations have been strung outside shops and houses throughout the small villages for some weeks now and most of the towns have special lights. The first recorded Christmas tree ‘le Sapin (pine tree) de Noël’ in France dates back to the middle of the 16th century. In many European countries religion is a dwindling cultural force and France is no exception. In Burgundy, and indeed rural France in general, where so many young people have moved to the cities, this is even more noticeable. Yet where traditions are maintained Christmas in France starts with Church for midnight mass on Christmas Eve. Then the family gathers for a sumptuous feast that may include oysters, turkey, goose, lobster, foie gras, champagne and fine wines and many other delicacies – this is the big festive meal although a bit heavy just before bed for some tastes! Generally this is the time the French exchange gifts, although Pére Noël (Father Christmas) does leave presents for the children to open on Christmas Day. December 26th is business as usual. Although for us it’s a very quiet time. The canals are quiet, often frozen over, and Le Papillon is in her winter quarters. There is no time of year when Burgundy is not beautiful, but these calm days with the long nights around the winter solstice seem to have a special tranquillity. 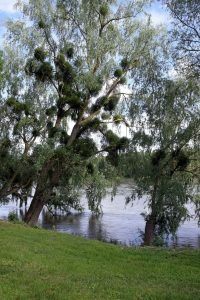 Along the canal towpaths the trees are naked save for the many bunches of mistletoe that hang like bursting fireworks in the branches. On the hillsides the vineyards look like barren fields of sticks marching up towards the horizon. Crows are simply dark smudges against the thin blue sky. Whilst the aroma of wood smoke hangs heavy around the lock-keepers cottages and lights twinkle in the windows, nature sleeps with a majestic austerity. But a New Year is just around the corner. We hope to see you in 2019 – if that sounds like a ‘bonne idée’ (good idea) to you check out our Burgundy itinerary here.